I know a lot of you tech geeks like to tinker. Here's a $35 fully functional PC (Model B) that you can stash just about anywhere. I'm hoping someone puts one (or two) in a Riv. Possibilities are endless! We have dudes at work in the lab experimenting with this all the time! Super cool stuff! 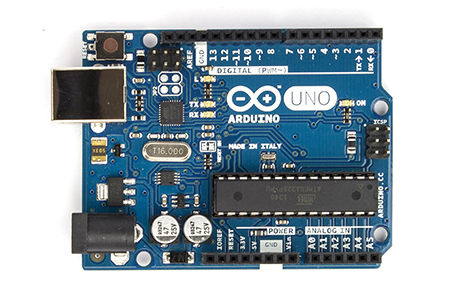 Arduino can be programmed to do things like activate circuits based from inputs based on C/C++ program language. It uses PWM outputs to control levels or flash rates. I could see a board like this thing doing some cool things in a car. Kind of makes me want to pull out the old soldering iron! Ive seen dudes with 3D printers using Arduinos to make flying drones and other cool things. Cool stuff. So many cool hobbies to do but so little time.. fuggin work.. Gotta sell my time to have a place to sleep and food to eat. Gotta find a way out..
A lot of people are using Adruinos for stuff like LED text displays. Nothing high-def or anything but just your basic stuff like scrolling text. If anyone watches the Tested YouTube channel they mention them frequently and show different things being done with them. One guy had a Daft Punk helmet being controlled by one. It was sweet. I've got 3 Arduino Minis in route. Thinking about starting a new hobby. Dang, why 3? any plans for them? or just going to tinker? Just tinkering at first, then may create my first custom GTO electron-mod. I posted something in this topic on my local forum since there's lots of people that have ls1's and stuff so I was mostly looking for answers about exactly what their rpm signal looked like. I've come up with a little project to hopefully improve upon my nitrous system. I have an idea that I feel aught to be doable but there's a few things I'm not familiar enough with. I'm gonna try to be as concise as I can. I'm using a Harris Speed Works "the interface" controller to give me the fueling for nitrous through the maf signal. It works brilliantly but it's lacking one feature that I'd like to try to integrate and that is compensation for bottle pressure since it decreases during a run and makes me progressively richer and thus slower as I go down the strip. One feature of this controller (that I do not use or ever plan to use for it's intended purpose is the rpm-based enrichment function which taps into your rpm lead and richens the result maf adjustment up to a preset amount. The manual for the controller says it will adjust up to 8000rpm and can be set as high as 15%. Based off my rough calculations, 15% is enough to give me bottle pressure fueling compensation for a range of about 150psi which would help with the degrading pressure issue while I'm spraying. More would be nice but that's enough for the trouble I think. So the controller is looking for an LS1/2/3/6 rpm signal - I want to take a standard 0-5v nitrous pressure sender and digitally translate that into a made-up rpm signal. I'm figuring I'd need some kind of programmable micro-controller/programmable IC type deal to input the voltage curve and give me an rpm signal and then tune the ranges such that it works for my nitrous controller. I don't know exactly what my controller does as far as the relation between rpm and the preset fuel adjustment percentage but I could test and figure that out by plotting its output vs rpm after I have a way to do that. So where I'm left with some questions is does anyone know exactly what the rpm lead for my nitrous controller is looking for from an electrical standpoint? In other words, I don't really know what an rpm or tach signal is in this case (it's meant for an LS1,LS2,etc btw). Secondly, I'm not as much of a geek as I wish I was - what can I use to do this whole digital I/O conversion? If anyone has any other totally different ideas about how I could accomplish this blast away! I'm not that familiar with what sorts of signals these controllers are able to output. I don't think the 0-5vdc input would be any trouble but can they put out the high frequency of an rpm signal? I vaguely remember when I was trying to research the construction of an LS1 rpm signal that it's around 9v-12v peak square wave frequency. Some guy on the internet says 60hz=1900rpm. Some other guy says 2pulses/rev (LS1). Either way I can figure that out but I don't actually know whether or not the controller is able to generate a 10v frequency like that to convince my nitrous-maf controller it's actually an LS1 rpm signal. The Arduino Mini controller can accept up to a 12v input up to 40mA; output is 5v up to 40mA per pin. The idea here is to use a switching transistor or small relay for higher volt/current output. I'll try to get something concrete on what the full range of the rpm signal I need to create is and go from there. But we do know I'll need a transistor for the output side (unless my nitrous controller is really forgiving about voltage). If I do run a transistor, I'd have to make sure it can cycle fast enough. I'm guessing any relay is out of the question speed-wise. I'm thinking if one output channel on the logic controller isn't enough, I could have multiple outputs/transistors alternate triggoring from the same input line which would give me 1x more total pulses each additional channel. obviously the processor is fast enough at 16mhz. Every transistor I've seen has a switching spec in the MHz range, so I wouldn't worry about that. Solid state is fast, fast, fast. These are the devices in audio amps that create sine waves up to 100Hz without distortion. The 16MHz is the processor speed. I haven't confirmed the output switching speed, but I think it would be plenty fast enough. I'll let you know if I find any more info. What kind of switching frequency are you looking for top end? AA, what are you using the Arduino for? I built a lane change feature for the GTO. A brief nudge of the turn signal stalk will cause a 3 flash burst in that direction. Haven't actually installed it on the car, but in bench testing it works. Programmable to 2, 3 or 4 flashes. Next project will be an auto TC-off circuit, which will activate when the engine starts. A toggle switch would activate/deactivate. This one could be used in the Riv as well. You can disable the TC light from the left side of dash. Just poke a finger in there and rotate the bulb. All GTOs have TC. Honestly it's useful on the rain. You'd have to be absolutely insane to drive on snow without it. M6 even has a shift lockout to make you shift from 1st to 4th under 2500 RPM. Glad that's gone. simple tune on my gto with a hptuner setup and my CAGS was gone. My Brother is a geek with the raspberry could the raspberry be programmed as a progressive controller for NO2 based on map psi and TPS signals?